If you’ve ever heard anything about sports and bodybuilding nutrition, you have heard that protein is probably the most important nutrient for to consume. It’s what gives you form, what makes you move, and what holds you together. It’s also exactly what you need to put into your body when you’re working out hard. Without the consumption of protein, your workouts are just going to break down your muscles. Did you know that not every protein is made the same? If you think about it for a minute, it might make some sense. Pork rinds are almost pure protein, but do you think they are good for you? A definitive “no” is the answer to that question. The truth is that there is a huge spectrum of protein quality, from very bad to exceptionally good. Most proteins fall somewhere in the middle, but there are some, particularly egg protein and whey protein, which excel in all aspects. 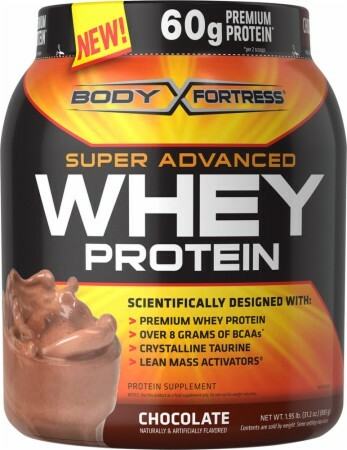 Whey protein is the highest rated protein available for your consumption. This has been proven over and over again for decades now, both in the lab and in the bodies of thousands of athletes. What sets whey protein apart from every other protein out there? For one, it is the most absorbable. You assimilate much more, and excrete much less of this high quality supplement than any of the others. Another thing that makes whey protein so great is that there is very little allergic reaction to it. Whey is a separate substance from Casein, where the allergens in milk lay predominantly. Whey is suspended in water naturally, thus explaining its remarkable solubility in water. Solubility generally means absorbability, thus you’ve got seriously absorbable, high quality protein that will not cause any allergic reaction. It is not for nothing that mammals feed milk to their young… it is perfect for quick, healthy growth. Whey protein is easily derived from milk, so it is not necessarily very expensive. Sure, it has acquired a premium just for being as good for you as it is, and many producers try to turn a profit selling “souped-up” versions with various additives, but until there’s a milk shortage, there will be no shortage of whey protein. The various processes used to make the various permutations of this product (isolate, concentrate, etc.) will add a few more cents to the overall price, but they are simple processes as well, and require no expensive equipment or chemical media. On top of everything else, whey protein has inherent appetite-suppressive, fat-burning, and blood-sugar-regulating properties. Which means that it may very well be the perfect food supplement for those who want to look, feel, and perform at their absolute best. There are thousands of competing brands out there, so be careful. Find the one made from the best ingredients and fewest additives, and you’ll be good to go. The Supplement Den is one of the largest selling creatine, protein powder and bodybuilding supplements for fat and weight loss. As Proto Whey is naturally low in carbohydrates, fat and total calories, you can get the best value for your money. This entry was posted in Health and Nutrition, Nutrition, Supplement Review and tagged Bodybuilding supplement, protein, Whey Protein by Russell Jensen. Bookmark the permalink.